Steve's address during the day (pretty much for the past few years), Gloria Jeans (GJs) just near the FoodCourt on Level 2 i.e. the upper level. 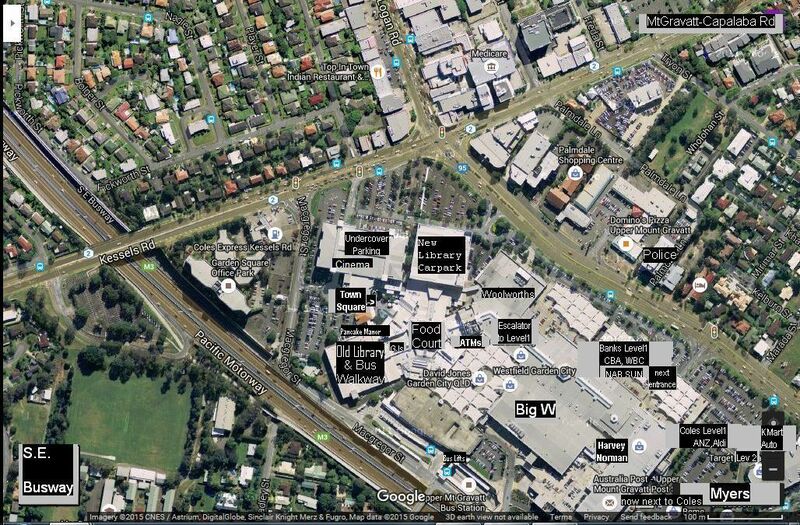 Click here for a Centre Map, Westfield Garden City, 2049 Logan Road (cnr Kessels Road and Mt Gravatt-Capalaba Road), Upper Mt Gravatt, Qld 4122. Click here for Centre Trading Hours. Click here for local bus timetables. Click here for this Google link. Just south of Garden City on 28 Macgregor Street is the Australian Taxation Office building. Please note that this building no longer serves the general public. 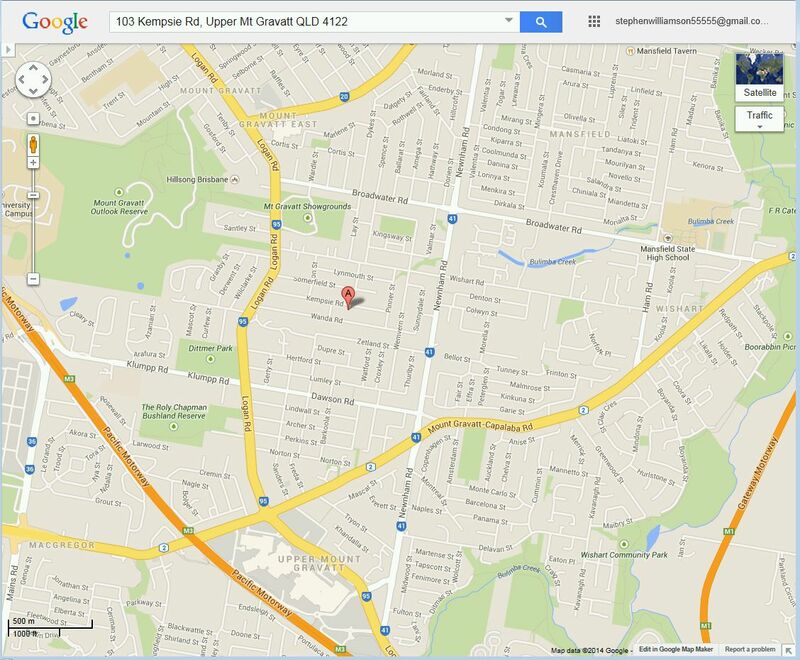 Mt Gravatt State School 1263 Logan Road (just north of this map), Mt Gravatt click here for a Google link.